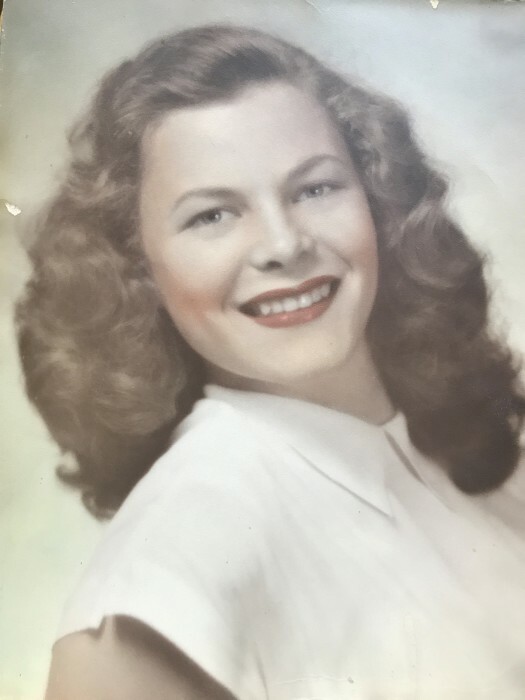 Mary Jo Holt Johnson McClure, 87, of Gainesville, Georgia passed away peacefully on Wednesday, March 20, 2019. A Celebration of Life Memorial Service will be held on Tuesday, March 26, at 2:00 p.m. at First Baptist Church Chapel 751 Green St NW Gainesville, Georgia. Mary Jo was born in Atlanta on May 26, 1931 to Marcus and Eunice Holt. As the middle child of three children she learned to be strong, responsible, reliable and determined early on in life. These attributes continued and were honed throughout her life experiences. Her early career was in accounting. Then she became the Financial Administrator for St. Paul United Methodist Church in Gainesville. As a divorced woman, she was blessed with three children. In 1965 Mary Jo met the love of her life, Guy McClure. They married in January 1966 and were blessed with one child. Mary Jo was a loving daughter, sister, wife, mother, grandmother, and great-grandmother. She was a very active member of First Baptist Church for over forty years. She loved serving the Joy Sunday School Class. Mary Jo is preceded in death by her husband of 46 years Guy McClure, her step-daughter Lyn McClure Weaver, her parents, her brother Bob Holt and sister Phyllis Burnette. She is survived by her daughter, Gail Johnson Entrekin and husband Terry of McKinney, TX; son, Frank Johnson and wife Leslie of Marietta, GA; daughter, Phyllis Suzanne Johnson Weaver and husband Marshall of Sandia Park, NM; daughter, Sandra McClure of Gainesville, GA; eight grandchildren; and ten great-grandchildren. The family would like to thank the staff at The Landings at Limestone and the Homestead Hospice nurses for their loving care. In lieu of flowers contributions may be made to First Baptist Church on Green Street in memory of Mary Jo McClure.